Become a part of our reseller hosting business absolutely for free and sell hosting via our easy automated system. With no additional fees required anyone can be our reseller and start a hosting business quickly and risk free. You can offer affordable hosting with software installs that will assist your customers in building their own sites quickly and adding new features to them. The Free Software Installer package includes tools for the creation of social websites with all necessary features for comments, ratings, sharing and managing multiple users with their own profiles. With the free reseller hosting program at resellercluster.com you can resell the full range of services including free hosting with no ads that will help you to quickly attract lots of new customers, big part of which will later upgrade to paid plans. You can start selling instantly! Use your own domain to offer our services remotely form your existing site or get a free subdomain with our free storefront templates to start reselling hosting from your own hosting store. Our templates are pre-made hosting stores that can be set instantly and customized easily. Sales and billing are automatically managed via our system; we take care of servers’ administration, tech support and chat with your clients. All you need to do is to promote your site. What do I need Elgg for? 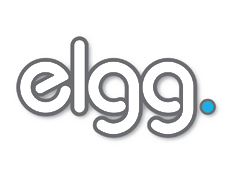 Elgg is a flexible tool for dynamic and fully featured social networks suitable for businesses, non-profits, schools and everyone with the desire to start his/hers own online community. You can create a social network with Elgg almost automatically and choose its color theme, add your own logo and banners to customize it, thus launching your own site with no programming skills at all. Elgg allows users to make their own profiles, follow the activity of friends and groups by regular updates, upload files, use bookmarks and comment. Elgg also offers flawless Twitter and YouTube integration.